The annual American College of Medical Geneticists (ACMG) conference meets this week (March 21-25, 2017) in Phoenix, Arizona, providing an outstanding forum to learn how genetics and genomics are being integrated into medical and clinical practice. Eric Venner, from the Human Genome Sequencing Center (HGSC) at Baylor College of Medicine, will present the following poster (Abstract Number 368): Generating Clinical Reports from Genomic Data on the Cloud-based Neptune Platform on Friday March 24th 10:30AM-12:00PM. In order to meet the demand for timely and cost-efficient clinical reporting, HGSC developed Neptune, an automated analytical platform to sign out and deliver clinical reports. The process starts when a clinical site uploads a test requisition to the HIPAA compliant environment on DNAnexus. Next, de-identified samples are analyzed with HGSC’s variant calling pipeline, Mercury, which feeds into the reporting pipeline, Neptune. Variants of putative clinical relevance are identified for manual review and possible addition to a VIP database of clinically relevant variation. The VIP database currently holds 20,872 SNPs and 3,946 indels, as well as a curated set of copy number variants. Neptune’s manual review interface was designed with a clinical geneticist in mind. Users can login, curate variants in their samples, update the VIP database accordingly and create clinical reports. Early applications include reporting for the NIH Electronic Medical Records and Genomics (eMERGE) Network III where more than 14,500 samples and a panel of 109 genes will be processed over the course of three years. 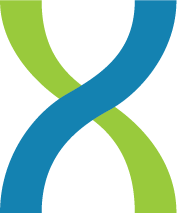 eMERGE is a national network that combines DNA biorepositories with electronic medical record (EMR) systems for large scale, high-throughput genetic research to support investigating how personalized treatments impact patient care. Research so far has led to significant discoveries across a wide range of diseases, including prostate cancer, leukemia, and diabetes. DNAnexus and the Human Genome Sequencing Center (HGSC) at Baylor College of Medicine worked to build the eMERGE Commons, a data repository where genomic data are merged with patient electronic medical records (EMR), as well as analysis results and bioinformatics tools to be accessed and applied by eMERGE researchers. Previous Previous: Updated DNAnexus Impact Assessment for Cloudbleed: No evidence of exploitation.